MKB Project 15: A Bonnet Cap – Nearly There! I completed the knitting portion of A Bonnet Cap from Miss Lambert’s My Knitting Book (1843, first series) on the larger needle size and was able to achieve a width of 3.5″, which is close enough for me! To me, at least, this seemed less clear. Where do I sew it? How do I sew it? Along the long side of the two rectangles? Do I sew it one short side of the rectangle to one side and the other short side to the other side? Do I tie the ribbon at the back with a bow so it can be adjusted to fit? 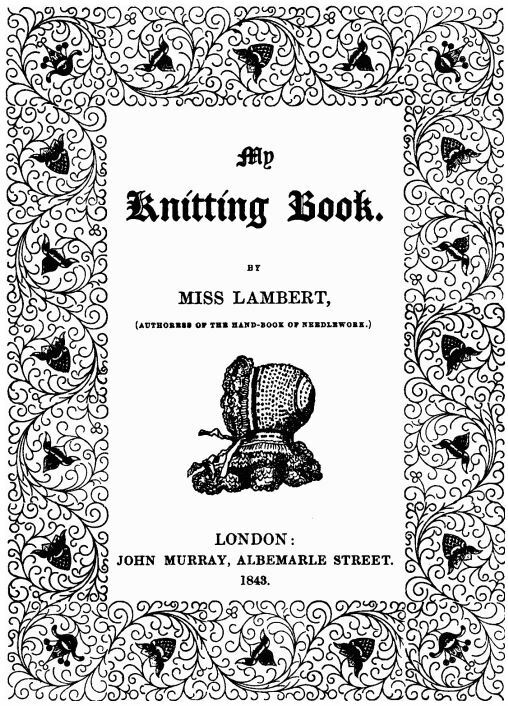 Since there are no images in this book, I searched through some other knitting books of the era to see if they could help me find some clues on how to assemble my bonnet cap. There are several books from the 1840s and 1850s that have patterns for bonnet caps but most have limited details. However, Mrs. Gaugain and Mrs. Savage both provide some useful information. So, here is what I learned: The bonnet cap is a partial cap with only a forehead and a back but no crown, it comprises a forehead piece (the large rectangle) and a small band for the back of the head which is attached about 3″ from each of the two ends of the forehead piece. (That would be 9 barleycorns for those who read my previous post.) This distance may end up being much less as I have a large diameter head, especially in comparison with a Victorian era lady and may have to make some modifications to be able to model the finished project. I love that she suggests both the conservative and more liberal colour combinations! My next step is to go shopping for some matching “ribands” (ribbons) and will post an update when my bonnet cap has been assembled. Bonnets are so incredibly adorable. I wish it were more fashionable for grown women to wear them instead of just babes. Sigh.